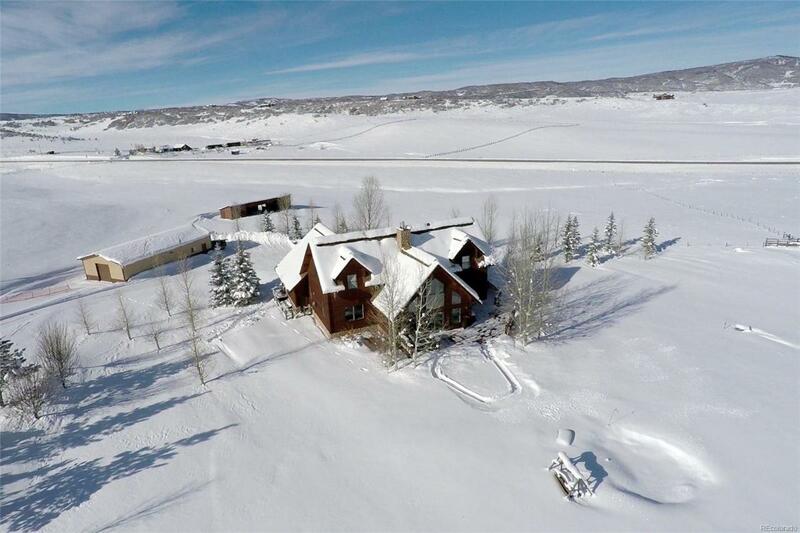 Bask in the incredible views of the valley and Ski Area from this 4 bedroom, 4,500 sq. 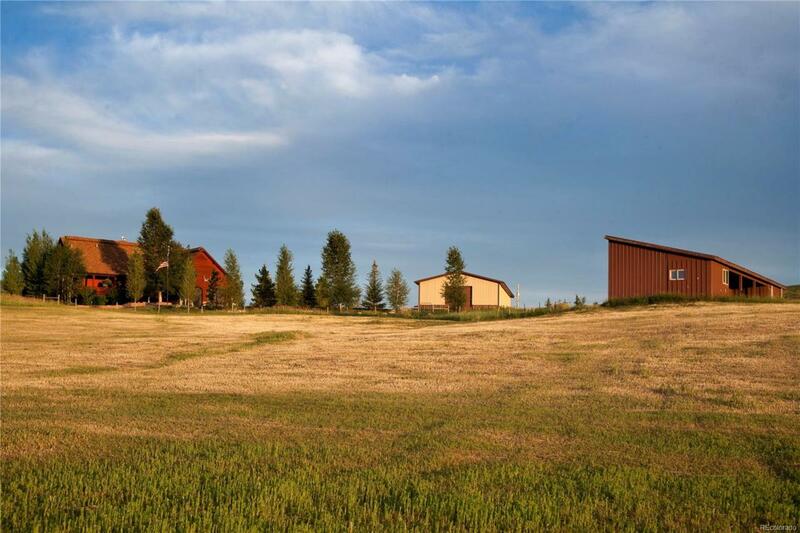 ft. equestrian property located on 25 acres. 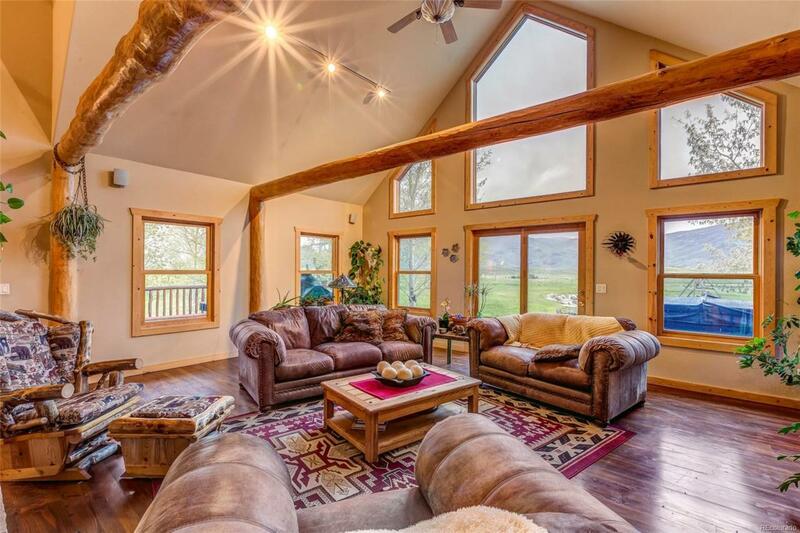 This ranch property has it all with a loafing shed, pond, seasonal stream, fenced pastures, and a 2,400 sq. ft. outbuilding for tractors, boats or snowmobiles. 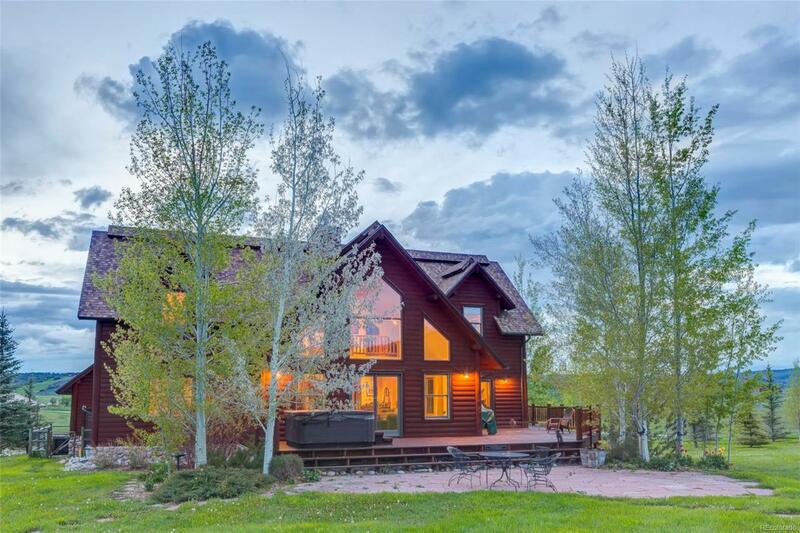 The home's large living area has exposed log beams, vaulted ceilings, dramatic floor-to-ceiling rock fireplace, and huge windows showcasing the views. The recently upgraded gourmet kitchen and a main floor master suite are just a couple of the many attractions to this home. The lower level provides a recreation room/family room and an additional bedroom suite. Upstairs youll find two large bedrooms joined by a spacious loft. Outside, you'll find a wraparound deck with a hot tub, a stone patio, huge fire pit, manicured lawn, and a horse shoe pit. Now including a Catamount Ranch & Club Membership, walk from your new home less than a mile to enjoy the amenities of Lake Catamount.